Protect Your Personal and Professional Assets. The more successful you are, the more valuable your assets are, and the more you stand to lose … because the higher the net worth, the greater the risk. You work hard to be successful. At Madison Insurance, we understand and we want to help you protect your lifestyle. The truth is simple. The more successful you are, the more valuable your assets are, and the more you stand to lose … because the higher the net worth, the greater the risk. When your business, professional and private interests expand, your risks increase. And as those interests also start to overlap, the stakes become even higher. Suddenly, you’re dealing with complex issues that require the assistance of seasoned experts. When you have substantial assets and property, insurance can easily become complicated and confusing. And making decisions gets harder. That’s where we come in. We provide comprehensive personal coverage, simplified. At Madison Insurance Group, we’re especially good at designing coherent and intelligent insurance coverage for even the most complex portfolios. Our seasoned experts are here to help. We’re highly trained, experienced insurance professionals Our team has more than 50 years of hands-on, front line experience meeting the insurance needs of our clients. 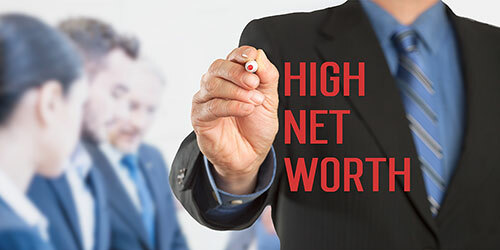 We will help you find the customized risk management solutions for high net worth individuals — directly, and through family offices and personal business managers – to protect your personal and professional assets. Let us do the legwork and the paperwork. We promise you’ll end up with the specialized protection you need — in a neatly wrapped coverage plan that’s much easier to manage.